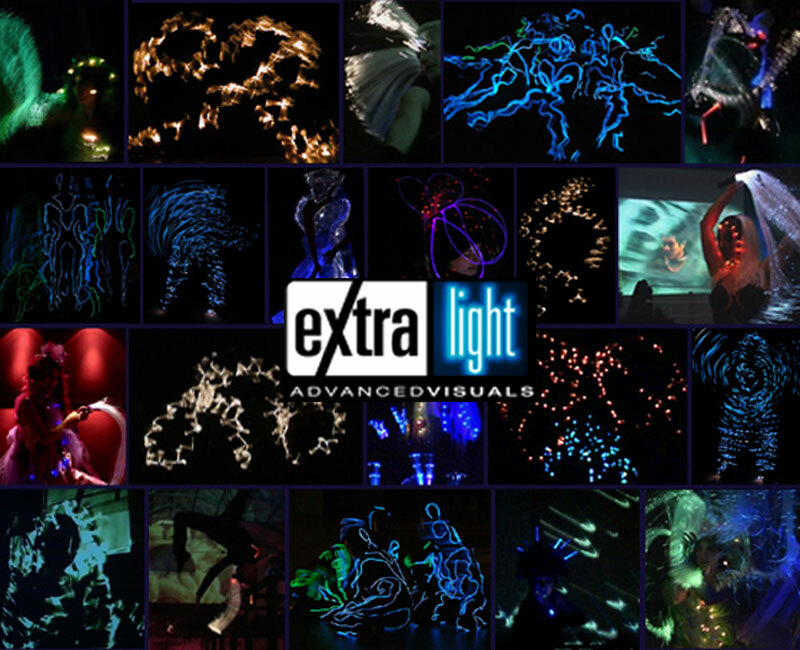 Extralight is a small group of new media artists and performers, based in Berlin and Rome, active in the creation and production of abstract light shows since 2001. The project starts from the experiences of Francesco Mancori, musician graduated in philosophy, active in the field of video art, and Elisa Sonato, architect, designer of costumes, light artist. Soon joined the director and choreographer Caterina Inesi (National Dance Academy of Rome, the Folkwang Hochschule Essen with Pina Bausch) and the dancer and performer Sarah Silvagni (La Fura dels Baus, De La Guarda). Focusing on the light as substance we operate through its expression in the form of light performances, visuals and installations. Our research start from light, considered and manipulated as matter, endowed with intelligence but also moldable and performative. The extralight project explore the relation between light and movement, through an innovative idea of dance that looks beyond the body boundaries. The dancers wear the bright costumes and the body disappears. A dance of beings of light begins.